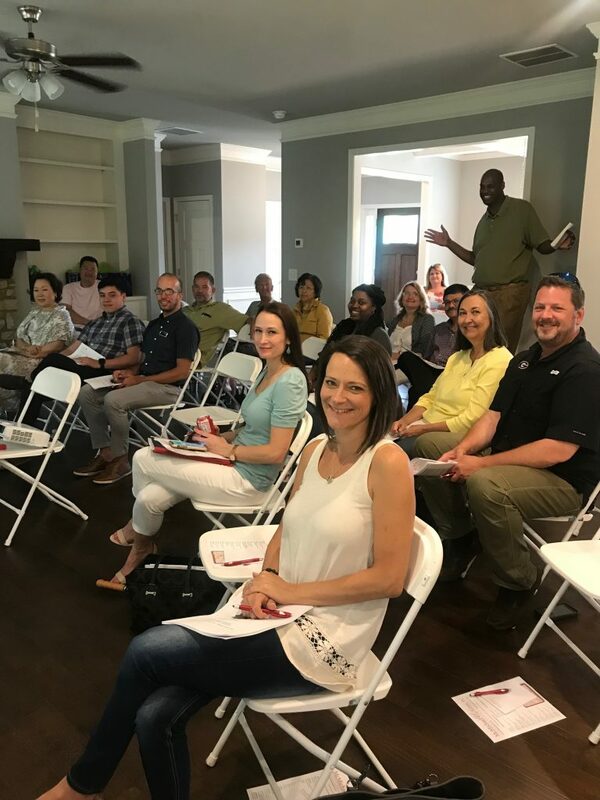 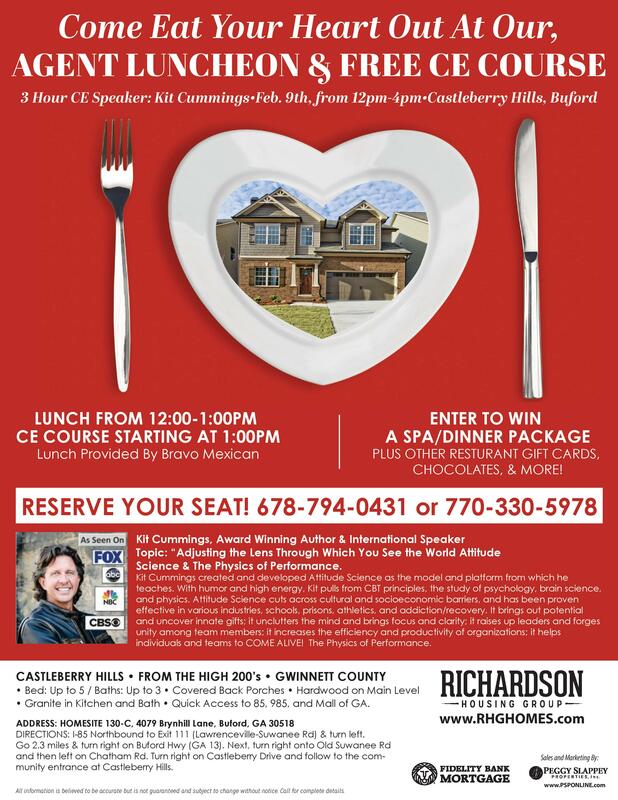 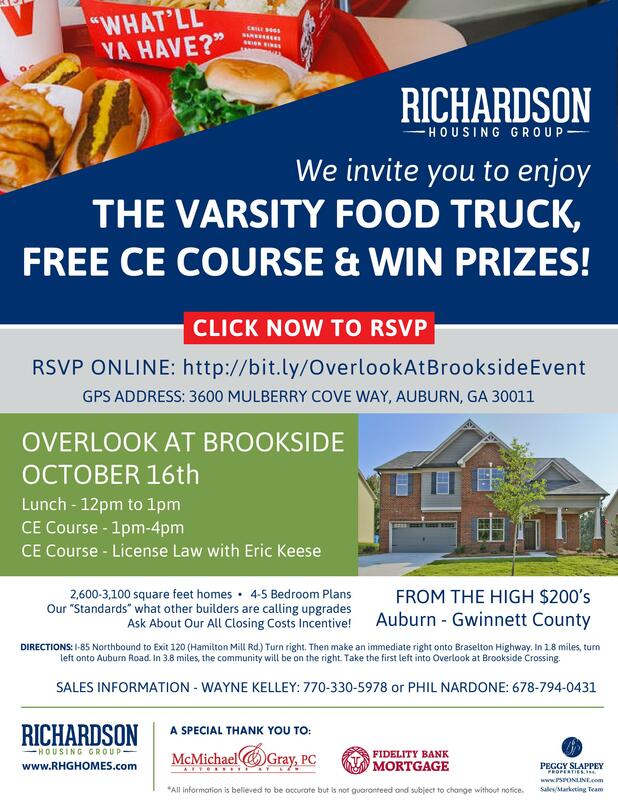 Free CE Course and Luncheon THIS WEEK at Castleberry Hills! 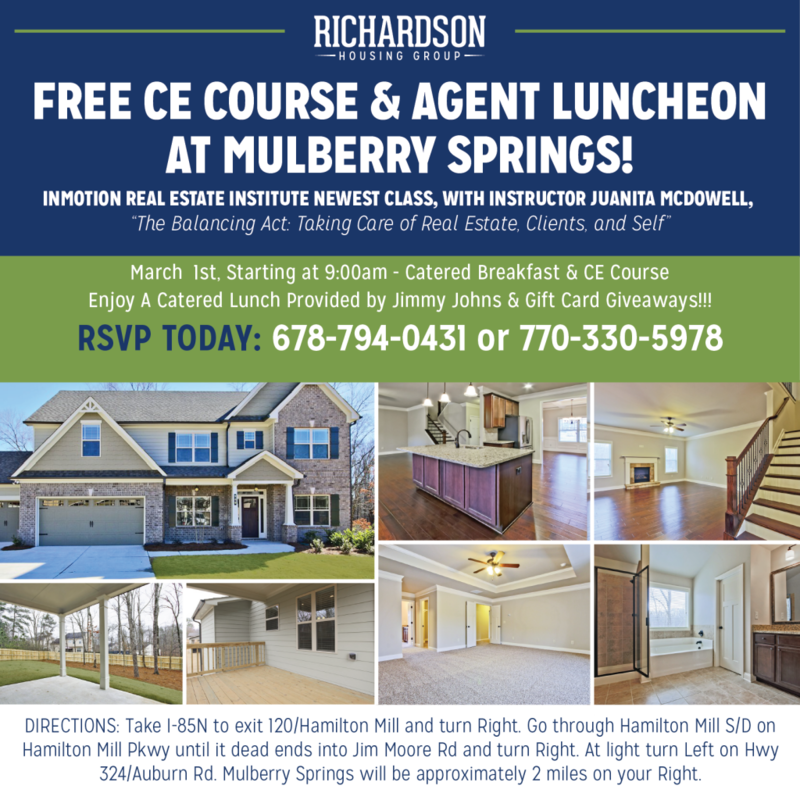 RSVP Today for Free CE Course and Agent Luncheon on March 1! 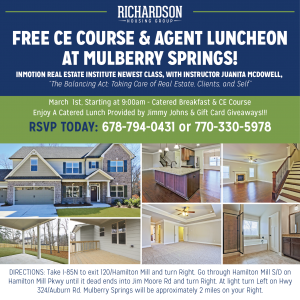 Free CE Course and Agent Luncheon on March 1!